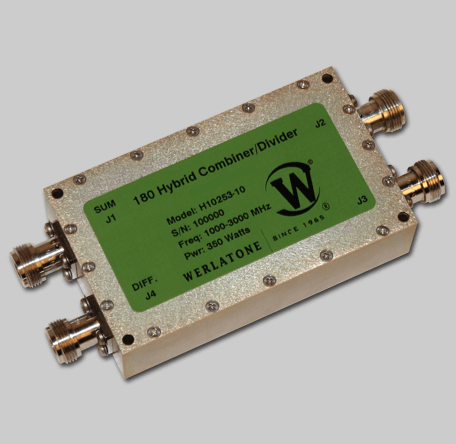 Our newest 180° Hybrid Combiner, delivers best-in-class amplitude balance, typically ± 0.2 dB, and operates with a maximum insertion loss of 0.55 dB. Rated at 350 W CW, this bonded circuit measures just 2.31 x 1.2 x 0.25”. Supplied as a surface mount stripline design, the H10125 offers excellent phase tracking and a minimum of 20 dB port-to-port isolation.